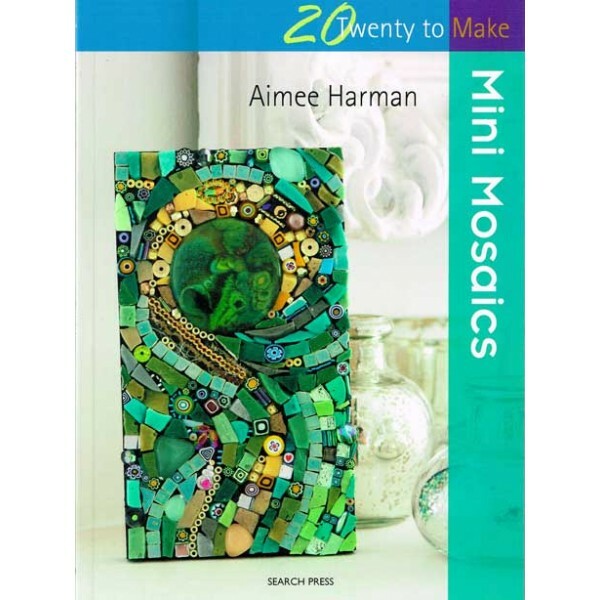 Aimee Harman puts a modern twist on the traditional and enduring craft of mosaic, and provides 20 small, fun, imaginative projects, suitable for all ages and abilities (including children). These projects are small, easy to make and imaginative. These designs are accessible to all ages and suitable for all abilities, these projects are perfect for those who are new to mosaics, love the designs or simply want to have a go, as well as more experienced mosaicists who are looking for new ideas and inspiration. Aimee Harman uses ‘user-friendly’ materials and techniques that makes the projects ideal for children, under adult supervision. 20 To Make Mini Mosaics includes a broad range of designs, in different shapes and styles and using different materials. All projects are accompanied with an alternative version, following the same method but using a range of different materials and colours. The projects include mosaics which are fridge magnets, wall hangings, coasters, mirror frames, jewellery and paperweights and many more. Aimee’s work is characterised by her new and innovative use of different materials within her mosaics all of which are readily available from craft stores, online mosaic suppliers, or simply sourced from charity shops, or collected while you’re out on a walk!